Wayne Horvitz Concert -- Support Little Star South Collaborative! Support Little Star South Collaborative! The Mazama Country Inn is generously hosting an outdoor jazz concert in support of the Little Star South Collaborative, ensuring families across our Valley have access to needed childcare and wrap-around support. Join us for the Wayne Horvitz Quartet, this Saturday, July 29 at the beautiful Garden Stage at the Mazama Country Inn. Doors open at 5:30 and music starts at 7:00. 100% of the entrance fees will be donated to the Collaborative! Suggested donation is $10/person. A hearty BBQ dinner, veggies, local wine and beer available for purchase. See you there! This fall, our community will have reason to celebrate! The opening of the Little Star South Collaborative childcare marks a significant step towards eliminating a critical barrier to health and well-being for many of our neighbors: access to high-quality, affordable childcare. For years, our neighbors have shared their struggles in finding childcare. A recent assessment showed up to 60% of local families with children 5 and under do not have the childcare they need. Not only does quality early childhood education support parents’ ability to join the workforce and reduce stress, it has the power to change a child’s life. Children with high-quality early education are more likely to graduate high school, attend college and own a home, and are less likely to be become pregnant as teens, or commit crimes. For our most vulnerable families and children, early childhood education matters. Recognizing the need and the unique potential to build lifelong health and opportunity alongside families, Room One partnered with Little Star and TwispWorks to launch the Little Star South Collaborative. The childcare will become a new site of Little Star, Room One will provide wrap-around family support services and partner with Little Star to provide parenting support and education. TwispWorks serves as “place-maker,” creating a welcoming home for families and connection to community. We are so excited about this collaboration based not around a single non-profit’s mission but on an outcome identified and lifted up by our community: that all children, all families, in the Methow Valley are able to access the resources they need to thrive. Join us in supporting this incredible initiative and the work of Little Star South Collaborative. The Family Advocate position has been filled, we are no longer accepting applications. Thank you for your interest! Room One: Room One is a health services and advocacy organization based in the remote Methow Valley of Okanogan County. To achieve our vision of a connected community in which all people have the opportunity thrive, we utilize an approach that meets immediate needs and challenges our community to get upstream of health inequities related to intimate partner violence and teen pregnancy. This dynamic approach includes 1) direct individual and family services, 2) prevention education and 3) advocacy for systems change. Because those most marginalized are at disproportionate risk for poor health outcomes, we position our organization to target the needs and build on the strengths of our most vulnerable community members. The Family Advocate would be a strategic member of our One-Stop Support Center team. Our One-Stop Support Center provides access to unduplicated direct services like health insurance navigators; domestic violence, youth and family advocates; and mental health counseling. Our prevention programming includes teaching healthy relationships and comprehensive sexual health education across the county and implementing support groups for young women in our schools. In our advocacy work, we lead and collaborate on community initiatives that fundamentally influence well-being and health equity, such as affordable housing, childcare, disaster recovery, and teen-friendly health services. As we move into our 19th year of operation, we are committed to a bold, responsive and strategic vision for a healthy and violence free future in the Methow Valley and beyond. We are looking for a new team member that is excited about addressing persistent inequities with determination, strategy and heart. Room One has a joyful, connected staff culture and offers flexible, family-friendly hours. General Description: The Family Advocate leads the implementation of a full range of social work services at Room One to ensure families with young children have access to community resources and pathways to meet self-determined needs. Responsibilities include providing or developing leadership of Room One’s family advocacy program, partnering with community organizations serving young children, providing support services to families facing systemic barriers to wellbeing, developing program resources, and monitoring program outcomes. Promote the well-being of Methow Valley families through application of direct support service strategies: assessment, crisis management, referrals, individual strength-based advocacy, and coordination of community services. 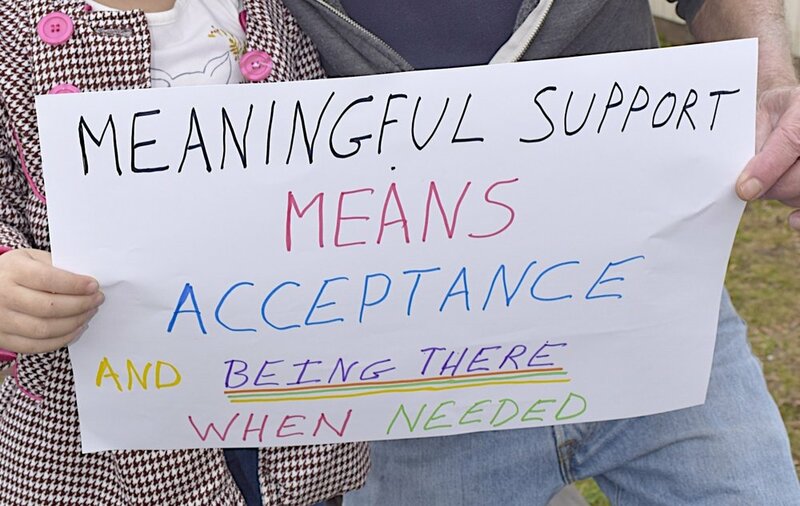 · Provide intensive support services to designated families facing systemic barriers to wellbeing, including supporting clients’ in identifying and using their own strengths, navigating social systems, and setting plans for addressing challenges. Ensure Room One One-Stop Support Center’s Family Advocacy represents highest standards of planning, implementation, and evaluation. · Help create and uphold mechanisms for clients and community members to guide and participate in community change, with specific focus on childcare and housing. · Continue to develop and implement best practices for managing resources and client files. · Complete intake forms and progress notes for clients requiring ongoing support. · Update daily logs and generate reports for weekly staff meetings. · Assist with Room One marketing of events and client programs. Family Advocate position has been filled. Thank you for your interest! Many giveBig emails may be arriving in your inbox today and we know you choose to give to organizations that align with your values, aim for a more just community, and create meaningful social change. Today, we want you to hear loud and clear that we appreciate you and your giving to those across our community. Your investment here, in Room One, enables bold and creative responses to our community's real needs. We hope you'll make a gift today. Thank you for giving so generously to help us build a more connected rural community, in which all people have the opportunity to thrive. This year, thanks to two generous donors, the first $11,000 donated to Room One through the Foundation's website will be matched at 50% ! Click here to make your giveBIG gift now! GiveBIG is an annual online giving challenge hosted by the Seattle Foundation, and it's right around the corner. This year, thanks to two generous Room One donors, the first $11,000 donated through the Foundation's website will be matched at 50%! Every day we are reminded that good neighbors take good care of each other, and we hold this belief close at Room One. Take a minute to hear how you touch the lives of people in this beautiful rural community, you are part of something special. We support each other in the times we need it most, with resources that matter. We challenge and move our systems (health policy, housing, contraception access, living wages) to respond to our real needs and build strength and opportunity among those who are most marginalized. We build programs that work for our communities, programs that interrupt cycles of violence, inequity and poor health (check out #OkanoganHealthyYouth, these youth are extraordinary). And we don't do it alone. Our community's voices, people we work with every day, guide our strategy and determine our impact--it's "neighboring" in action and it's what makes community solutions work. By joining us on this powerful day of giving, you are taking care of our neighbors in ways that make a difference. Thank you for being part of Room One and thank you for giving BIG on May 10th! You can schedule your giveBIG gift TODAY. Look for organizations doing work that makes a difference, brings real strength to your community, and speaks to what matters most to you. The Office Manager position at Room One has been filled; we are no longer accepting applications. Thank you for your interest! Strong commitment to social justice, particularly to those challenges facing youth, families, and the aging in rural communities. We are no longer accepting applications for the Office Manager position. The Mazama Country Inn presents a night of jazz to benefit Room One and to ensure individuals have access to family planning services within our community. $50 donation per person for a reserved seat; by donation at the door. Click HERE to make a donation and reserve your seat now! Wayne Horvitz is a composer, pianist and electronic musician who has performed extensively throughout Europe, Asia, Australia, and North America. He is the leader of the Gravitas Quartet, Sweeter Than the Day, Zony Mash, The Four plus One Ensemble and co-founder of the New York Composers Orchestra. He has performed and collaborated with Bill Frisell, Butch Morris, John Zorn, George Lewis, Robin Holcomb, Fred Frith, Julian Priester, Michael Shrieve and Carla Bley, among others. Commissioners include the NEA, Meet the Composer, Kronos String Quartet, Seattle Chamber Players, BAM, and Earshot Jazz. Collaborators include Paul Taylor, Liz Lerman, Bill Irwin and Gus Van Sant. He has been the recipient of numerous awards including two MAP grants and the NEA American Masterpiece award. Recent compositions include The Heartsong of Charging Elk based on the novel by James Welch and 55: Music and Dance in Concrete: a site-specific collaboration with dancer Yukio Suzuki and video artist Yohei Saito. He is the owner and music programmer for The Royal Room, a performance venue in Seattle, Washington, and a professor of composition at the Cornish College of the Arts. 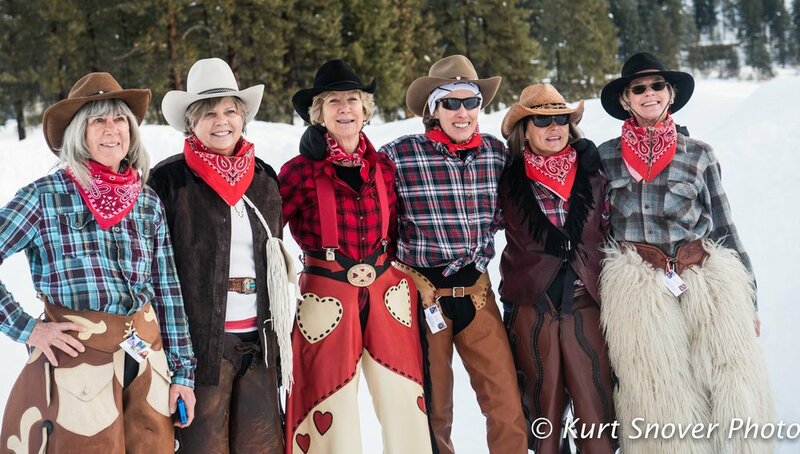 It's time for the 4th annual Methow Valley Ski for Women! This community event, taking place in Mazama on Sunday February 5th, is designed for participation by women and girls of all ages and skiing abilities. Participation is by donation only: all proceeds and donations will benefit Room One, our Valley’s own health and social service center. Trail fees are waived by Methow Trails for event participants and reduced rental rates are available. Prizes will be awarded to the winner of the competitive race and the relay race, as well as for best costume. Bring your creativity and come in costume, this year's theme is Disney or fantasy characters! Never skied before? This event is for you! At Methow Valley Ski for Women, volunteer instructors will be available to teach you the basics and get you skiing. Need equipment to participate? Don Portman's Mazama Ski School offering skis, boots and poles available to those in need of equipment for rental rate of $10.00/person. The Methow Valley Housing study results are in! The results of the Methow Valley housing study are in! Come learn more next Thursday, Oct 6 at 5:30 at the Methow Vally Community Center in Twisp. We're so excited for the Twisp River Suites garage sale! Stop on by the Suites for a variety of treasures this Saturday Sept. 10th from 9-3 or Sunday Sept. 11th from 11-5. All proceeds from the sale will benefit Room One and other local non-profits! We so appreciate the generosity of TRS and hope many find something sweet to take home. It's Coming... 10th Anniversary Soup Dinner Oct. 29! Today's the day to GiveBIG to Room One! It's a great day to give, and a great day to be part of Room One. All donations made to Room One and our community partners through the Seattle Foundation website TODAY (click here!) will be stretched! We are honored to be part of Room One with you on this powerful day of giving! 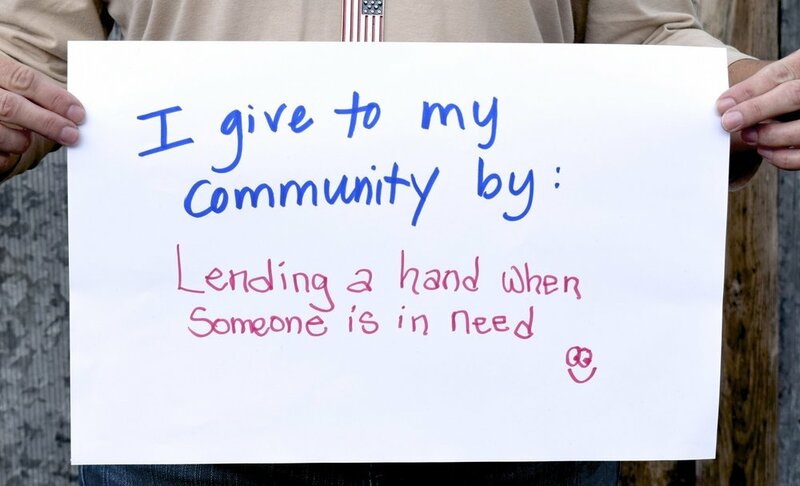 GiveBIG is coming May 3rd! It's is a great day to give, and a great day to be part of Room One. We're all better, when we're all better. At Room One we know we're part of a powerful community. A community that shows up when needed most, a community that acts together to make a difference. A community that believes when our most vulnerable neighbor becomes a little healthier, we will all be healthier. You are the community that powers Room One. By investing in Room One, you are changing the lives of our neighbors and the health of our community. Because we're all better, when we're all better. Watch real testimony of how you've changed the lives of our neighbors, below. Applied Suicide Intervention Skills Training (ASIST) is a two-day interactive workshop in suicide first aid. ASIST teaches participants to recognize when someone may be at risk of suicide and work with them to create a plan that will support their immediate safety. This training is free and is open to all. Participants don't need any formal training to attend the workshop; ASIST can be learned and used by anyone. The ASIST workshop will be held for free over two days at the Twisp Works campus on April 12th and 13th from 9:00 to 4:30. Advanced registration is required. Register online by clicking HERE. Call Room One 997-2050 with questions and read more about this opportunity below! ASIST is the most widely utilized intervention skills training in the world and is highly regarded. ASIST is listed on the Best Practice Registry of the Suicide Prevention Resource Center and both meets and exceeds the mandate for training under Washington Legislation Bill Numbers 2366 (mental health), 1336 (schools) and 2315/1426 (health professionals). Access the ASIST flyer here for more information! 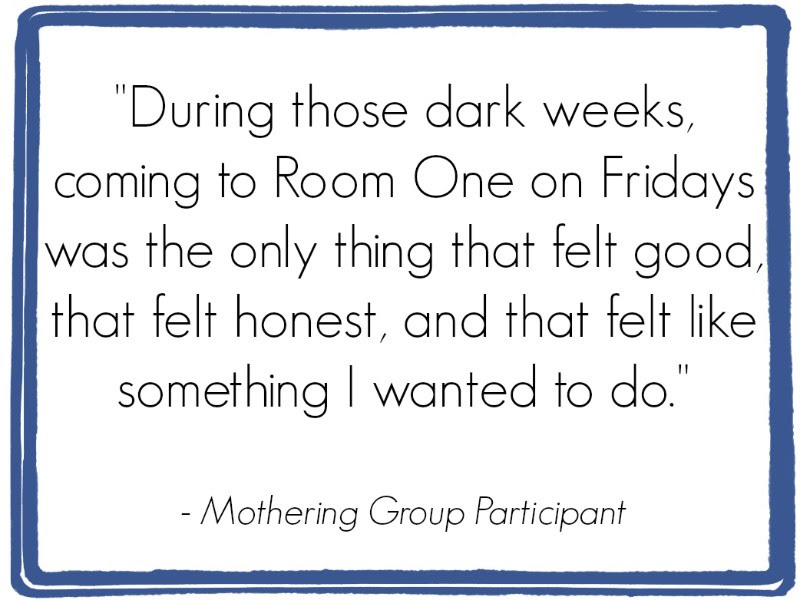 A new, free Mothering Group will start at Room One on Friday April 8th from 10 to 12. This 12 week series will follow the PEPS format, and will provide expecting moms and mothers of babies aged 0 to 6 months an opportunity to come together each week to share the joys and challenges of parenthood, and develop confidence in their parenting abilities. If you are interested, please call Room One at 997-2050, or drop by any time. The group will be facilitated by Lori Valentine (Room One Client Advocate) and Savannah Miller, MSW, both experienced mothers! We hope to see you there. Our beloved Office Manager is leaving and we are looking for an exceptionally organized, passionate, team-centered individual to join our Room One community. Schedules appointments for counselors, family planning, and other Room One programs. 25 hours per week, wage depends on candidate’s experience. Includes benefits. Please submit resume, cover letter, and writing sample to elana@roomone.org, applications will be accepted until the position is filled. 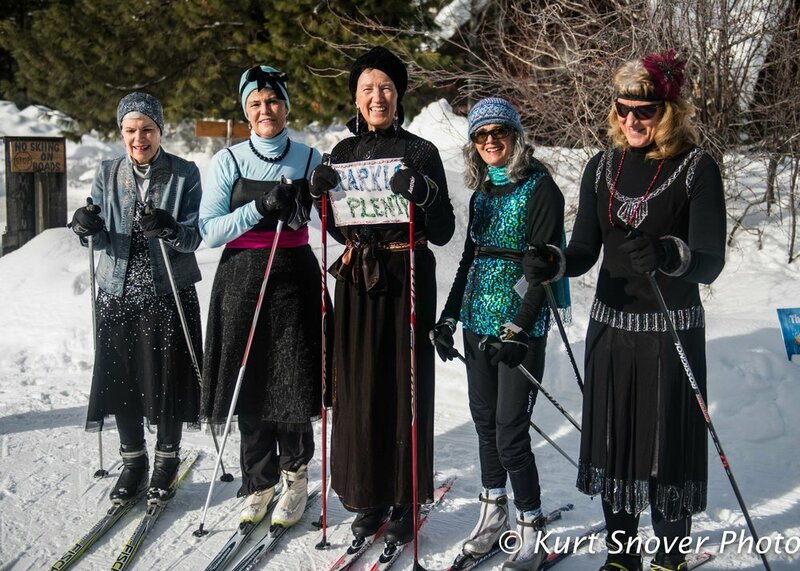 Once again, Methow Valley Ski for Women is bringing fun skiing to all women and girls in the Methow Valley. 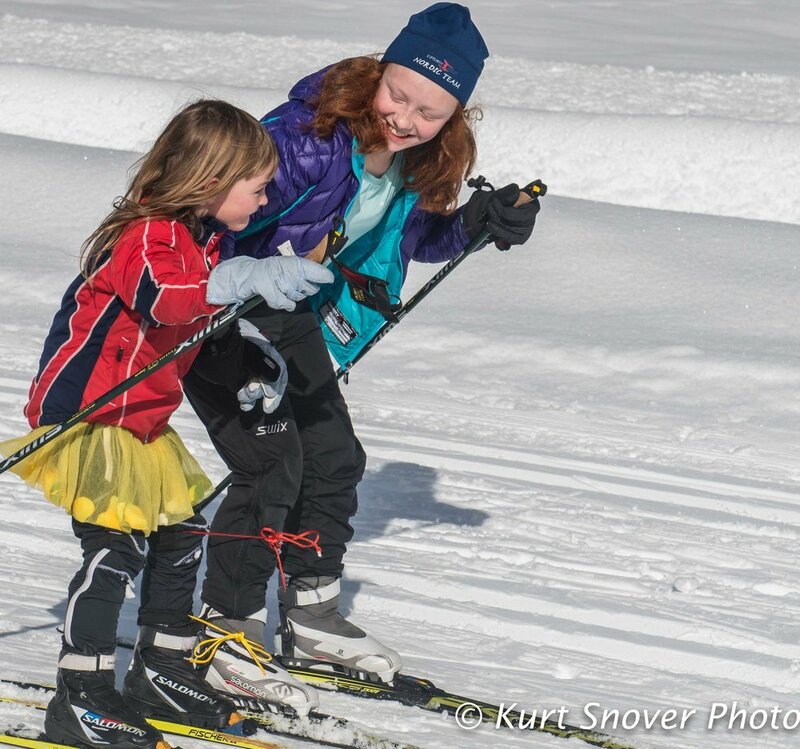 This community event, taking place in Mazama on Sunday February 7th, culminates in a variety of ski events designed for participation by women and girls of all ages and skiing abilities. Participation is by donation only: all proceeds and donations will benefit Room One, our Valley’s own health and social service center. Trail fees are waived by Methow Trails for event participants and reduced rental rates are available. See below for more details. Prizes will be awarded to the winner of the competitive race and the relay race, as well as for best costume. Bring your creativity and come in costume! Never skied before? This event is for you! At Methow Valley Ski for Women, volunteer instructors will be available to teach you the basics and get you skiing! Need equipment to participate? Sun Mountain Lodge has you covered! Sun Mountain Lodge ski rental in Mazama is offering skis, boots and poles available to those in need of equipment for rental rate of $10.00/person to participate in the event. Does skiing make you hungry? The Mazama Community Center will be offering hot drinks and cookies immediately following the ski. Prizes for race winners and the best costumes will be awarded as well. Afterward, head over to the Freestone Inn for a free lunch for participants — enjoy chili, cornbread and roast your own s’mores. Local pianist Michael Brady will present a solo concert of works by German Romantic composers at the Merc Playhouse in Twisp on January 1, 2016 at 2:00PM. Admission by donation will benefit Room One. Between the irrational exuberance of Bach's Organ Toccata in C (BWV 564) as recreated for the piano and the passion of Beethoven's Apassionata sonata, the concert also includes Brahms' quietly transcendent Three Intermezzos, opus 117, as well as Mr. Brady's distinctive commentary. "Unfortunately I did not learn that 'inauthentic' piano transcriptions of Bach are no considered to be in the very worst of bad taste until it was way too late to do anything about it," he explained about the opening piece, "Trying to conjure up the sonic majesty of a pipe organ out of a piano always seemed like a perfectly normal thing to try to do, but now it's like the high-fructose corn syrup of classical music." Mr. Brady has given solo presentations annually in the Methow Valley for the last decade as a gift to friends, neighbors and the community. "Because all of the donations will help stretch Room One's resources that much farther," he says, "your generosity will collectively become the gift of a happier New Year for some of those among us here who really need it the most." Community Prevention Specialist and Health Educator Positions Filled! Room One is very excited to announce we are hiring two new positions! 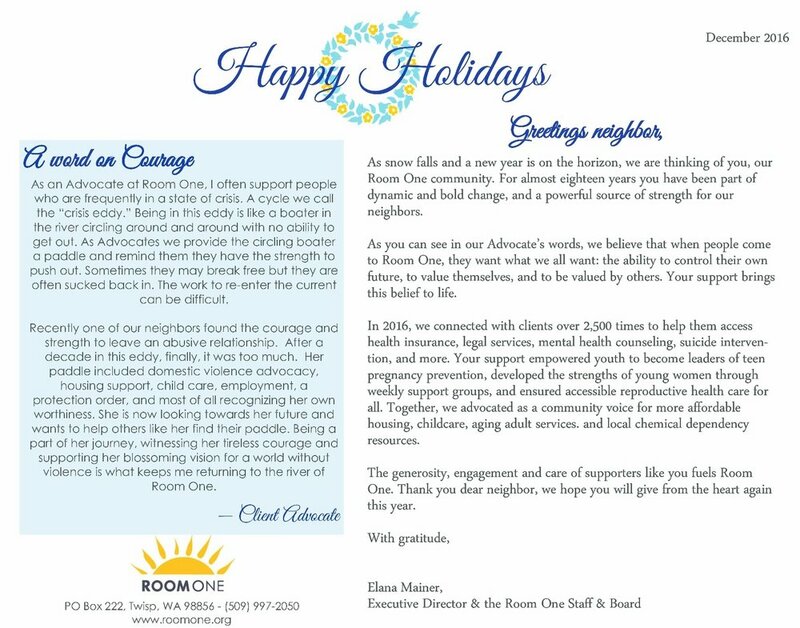 Room One is partnering across the county and beyond to move the needle on teen pregnancy. With Funding from Office of Adolescent Health Teen Pregnancy Prevention Program, Room One is leading the Healthy Youth Initiative in Okanogan County. This program will work across the county in varied settings to address health disparities, reduce teen pregnancies, and empower teens to build life-long health. We are hiring two dynamic people to help lead this change! Room One is seeking a Community Prevention Specialist. This position is responsible for engaging community stakeholders, facilitating Community Advisory Groups and Youth Council/Groups, and supporting community and school partners’ implementation of Office of Adolescent Health/Evidence Based Education Programs. This position advances overall goals of the Inland Northwest Healthy Youth Collaborative, by ensuring successful implementation and provision of accurate sexual health information in a safe, non-judgmental manner. The overall mission of this work is to reduce teen pregnancy through honest education and fearless advocacy, and support Room One’s goal of preventing gender-based violence and building health equity across the regions we serve. Room One is seeking a Health Educator. This position is responsible for facilitating Office of Adolescent Health/Evidence-Based Intervention programs with community based organizations, juvenile detention programs, health centers and schools across Okanogan County. This position advances overall goals of the Inland Northwest Healthy Youth Collaborative by ensuring successful implementation and provision of accurate sexual health information in a safe, non-judgmental manner. The overall mission of this work is to reduce teen pregnancy through honest education and fearless advocacy, and support Room One’s mission of preventing gender-based violence and building health equity across the regions we serve. Thank you friends, neighbors, and Methow Valley family for being part of this WONDERFUL Soup Dinner evening! Steve Foreman made a lovely video for the event, it speaks so well to the difference you make in our community by being part of Room One. Thank you all, we are already looking forward to next year! !